VAK Oy designs and manufactures high-quality and timely goods’ transportation solutions for heavy-duty machinery. Its numerous innovations, modern production methods and long-term experience have raised VAK as a pioneer in its industry and as one of Northern Europe’s most significant transportation equipment manufacturers. VAK products are manufactured from start to finish at the largest element factory in Nordic countries, in Vahto near Turku. 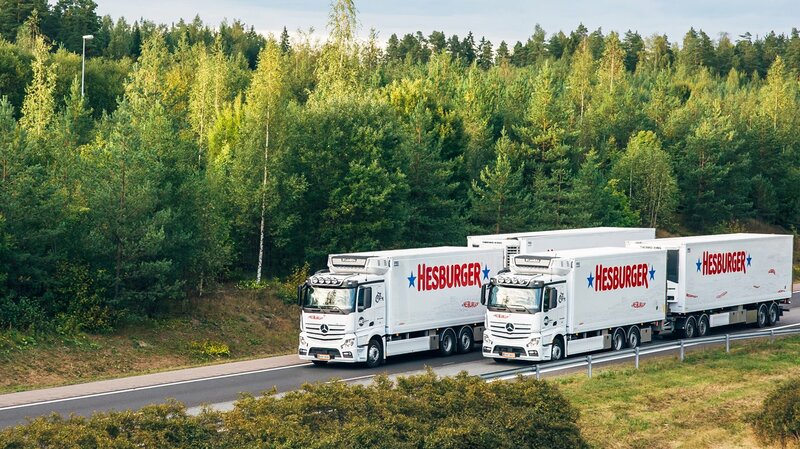 Our wide standard product range is supplemented by special solutions that represent the most recent technology of the industry, such as HTC trailers that are longer than normal. Our equipment meets all statutory requirements and international type approvals. You also have access to a nationwide maintenance network. VAK. Quality sets the standard. The VAK history began in 1972, when the present CEO Lassi Virtanen founded the Virtasen Autokoritehdas Ky. 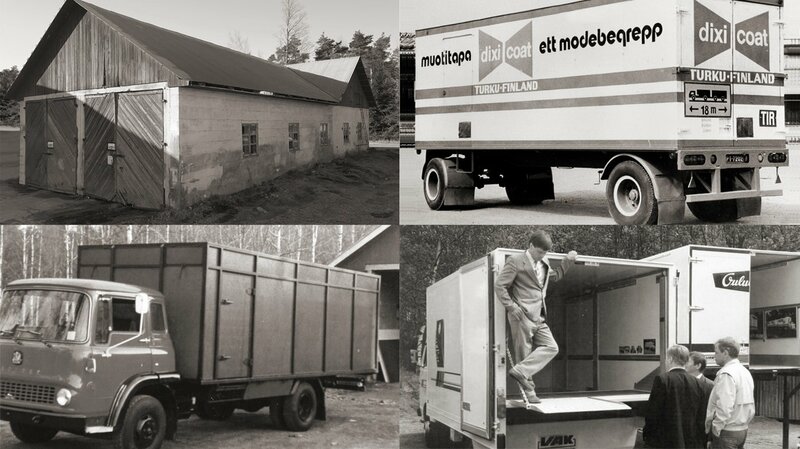 The beginning was modest: the first closed-body trailer was built on a used platform, and the workshop mainly served local transport entrepreneurs. The idea to develop insightful, tailored and carefully finished solutions for transportation shifted the company to a fast growing trail. The 1970´s saw the production of curtain trailer, livestock and beverage trailer bodies. In the 1980´s the requirements became stricter: the bodies needed to be lifted and lowered, tilted from the front or back end, they had to have a roof rising from the rear. VAK’s response to these strict requirements was to develop advanced product solutions such as its own hooklift or an advanced beverage distribution body. Insightful development and the initiation of serial production in the 1980´s guaranteed the success of Virtasen Autokori Oy. The company VAK grew over the years unlike its name which was shortened to VAK Oy. In the present decade VAK’s production is bigger than ever but still innovative, evolving, and flexible. In the 2012 the company established its own sandwich element factory and by that strengthened its postition as a domestic market leader in transport body manufacturing. 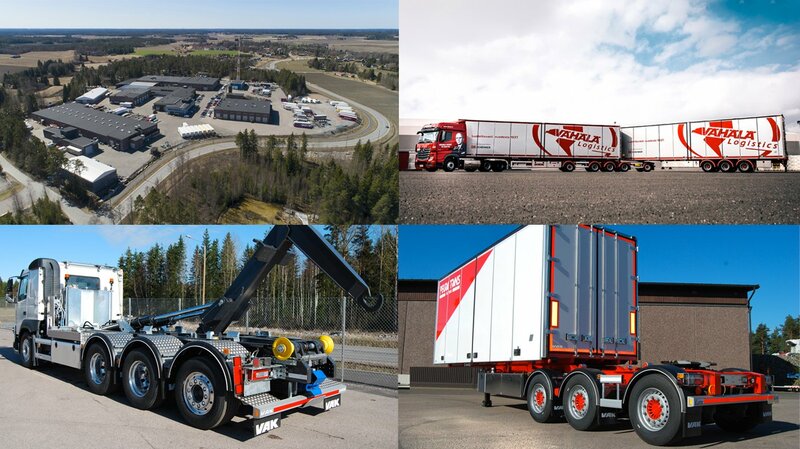 The V-Slider and LK26-hooklift, both developed according to the customers´ wishes have sealed VAK’s role as an innovative trailblazer – VAK solves the customer’s transporting dilemmas with developed solutions and the very latest know-how. Development continues in co-operation with the customers.